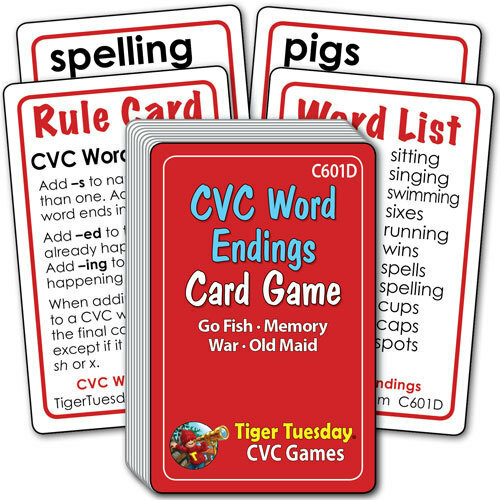 Start spelling skills off with a bang with CVC Word Ending Card Games! With one deck of CVC Word Ending Cards, students build on their CVC decoding skills by replacing the single ending consonant with common endings like "-s, " "-es, " "-ed, " and "-ing. " Games are played by the rules of Go Fish, Memory, Old Maid or War.